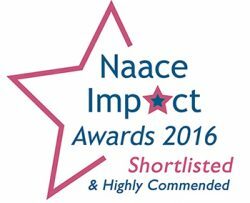 Now in its 5th year, the annual Naace Impact Awards endeavour to recognise the outstanding achievement of those who positively transform learning and teaching through the use of technology. Joskos’ education-focused approach has enabled us to do just that at Clockhouse Primary School. Pavan, Clockhouse’s dedicated Joskos engineer has improved the delivery of the school’s ICT curriculum and has helped to empower its learners by consistently identifying more effective ways to use technology. The judges were specifically impressed with the invaluable contribution made and the strong partnership between Joskos and Clockhouse Primary. This has led to Clockhouse becoming a beacon school for the transformative use of ICT within the London borough of Havering. This recognition of Pavan’s impact on improving educational outcomes within the school further endorses our commitment to providing excellent service to our customers day after day. Our dedication to continually make a tangible difference in the education sector is a key reason why Joskos was voted ICT Company of the Year at the 2016 BETT Awards.